3,968 m2 / 2 Rai 1 Ngan 92 Sq.W. Land 1-1-36 rai on main road close to The Mall Thapra. 2,144 m2 / 1 Rai 1 Ngan 36 Sq.W. 1,832 m2 / 1 Rai 58 Sq.W. 4,688 m2 / 2 Rai 3 Ngan 72 Sq.W. Land for Sale or Lease. Empty Land for lease on Theparak road..
Land for rent located at Ban Klang, San Pa Tong. ขายที่ดิน 1-1-36 ไร่ บางใหญ่ นนทบุรี, Land @ Bang Yai for sell /34-LA-62016. Land for rent on main Praram2 road area 4 rai. 6,412 m2 / 4 Rai 3 Sq.W. HR782 Land for rent in Thonglo-Ekamai area - 335 sq.wah - 350,000THB. 1,340 m2 / 3 Ngan 35 Sq.W. 34-OT-60020 Ware House @ Krathum Baen. 100 wah Land for rent. 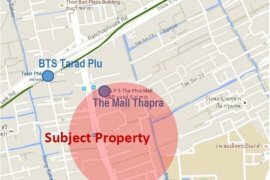 Land for rent located at Lat Phrao, Bangkok. Facilities include: BBQ Area, Garden and Parking. Eakmongkol Thepprasit 8 (Rented out until Oct 2019). 7,996 m2 / 4 Rai 3 Ngan 99 Sq.W. Thailand Property is an online property portal where thousands of property searches happen every day. Start your search today for affordable property for rent in Thailand from 124 available listings. Condominiums, houses, townhouses, villas, commercial space, and luxury properties are available for rent in Thailand. 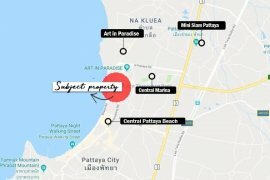 Thailand’s properties for rent are either listed by private home owners or property agents such as Supreme Real Estate Co., Ltd, Accom Asia Co.,Ltd and RE/MAX CondoDee. Refine your search to help you find the perfect Thailand property by price and number of bedrooms.